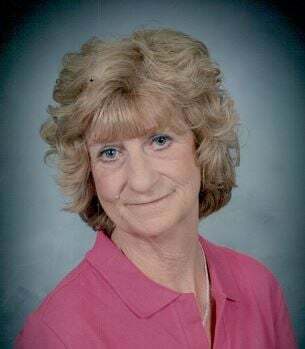 Reatha Hollandsworth Fuller, 77, of David City, lost her battle to cancer on Wednesday, April 3, 2019 at her residence. A funeral will be held at 10 a.m. Monday, April 8, 2019, at Sts. Mary and Joseph Catholic Church, Valparaiso. A viewing was to take place from 5-7 p.m. April 7, with a 7 p.m. rosary service at Chermok Funeral Home, David City. Burial was to take place at 2 p.m. April 8 at Oakwood Cemetery, Weeping Water, Nebraska. Memorials can be made to the family. Reatha was born April 12, 1941, to William and Nettie(Fagg) Siefker, in Taylor, Illinois. She was confirmed to the Catholic religion on Aug. 21, 1994, and her chosen catholic name is Reatha Cecilia Fuller. She had a very strong faith in the Lord and was devoted to the church and was a member of the women's groups. She was united in marriage to Gerald Eli Hollandsworth on July 13, 1958, and he passed away in 1977. Then on Jan. 24, 1981, Reatha was united in marriage to Gene E. Fuller, who passed away in 2006. Reatha was amazing with flowers and gardening, and loved to clean. She also loved to dance with one of her sons and sing with the other son. Reatha worked hard as a factory worker, a caregiver, housekeeper and was a wonderful homemaker, who kept an immaculate house. It has been said by many that "you could eat off her floors." She also enjoyed spending time her children, grandchildren and great-grandchildren. If anyone knew Reatha, they knew that family was the most important thing in her life. She lived for her family. Reatha loved everyone. She was very strong and stubborn, but never knew a stranger. If she met you, you were now a friend. And no one could make fried chicken "like mom". She was truly one in in a million! Reatha is survived by her children: Rick(Sarah) Hollandsworth, Milford, Nebraska, Ted(Tammy) Hollandsworth, Brainard, Nebraska, Penny Sue(William) Pedersen, Atwood, Kansas, Kimberly(Jeremy) Miller, Seward, Nebraska and Stacey(Royal) Bykerk, David City, Nebraska; 22 grandchildren; 16 great-grandchildren and many nieces and nephews. She is preceded in death by her parents; her husbands, Gerald E. Hollandsworth in 1977 and Gene E. Fuller in 2006; son, Gerald Lee Hollandsworth; daughter-in-law, Kate Hollandsworth; grandchildren, Isaiah and Amelia Bykerk; and six siblings, Elizabeth, Bill, Don, Gene, Robert(Buck) and Grace.